Milwaukee, WI: Just in time for the new year, Susan K. Wehrley has released her latest book, ALIGN, to teach executives how to align the unconscious knowing of their gut and desire of their heart, with the conscious wisdom of their mind—to reach their vision, values and goals with greater mindfulness. New year’s resolutions often don’t stick because they aren’t aligned with what we truly want and our greater vision for our life and work. By tapping into our Gut Intelligence, a term Wehrley has trademarked to identify our ability to take the unconscious knowing of our gut to create conscious decision-making, we’re more motivated and strategic, helping us achieve our goals for the year and beyond. This is Wehrley’s second book in her Gut Intelligence series. While the book ALIGN is filled with practical skills and 8 principles on how to increase our Gut Intelligence, Wehrley uses relatable characters, named Rosemary and Fred, to demonstrate how an executive and business owner develop their vision, values and goals and then make more mindful decisions in alignment with what they want most. This is Susan’s 8th book on mindfulness and personal empowerment. After 30 years as a business coach, Susan observed the difficulty executives had making decisions in alignment with their company’s vision, values and goals, while also considering their own personal purpose and passions. While many companies have posted their company’s vision and values on the wall, many employees have still found it difficult to align everyday decisions in a meaningful and impactful way. 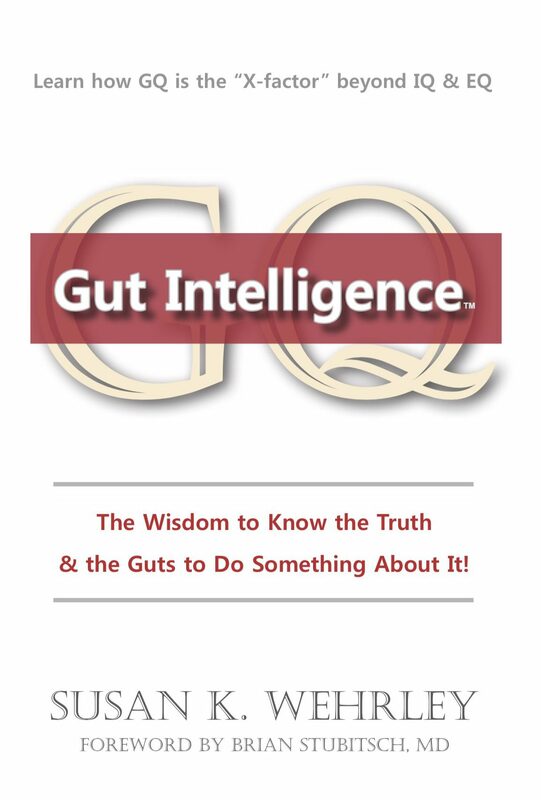 Through the Gut Intelligence ALIGN process, Wehrley has found a practical way to help executives increase their mind-gut connection. Her process, outlined in the book, includes techniques to tap into our extensive superhighway of neurons, chemicals and hormones that provide a feedback loop for our gut and brain to communicate with one another. Wehrley’s mission is to help executives learn how to access their Gut Intelligence so they can become more conscious in making effective decisions that provide the results they desire. Susan K. Wehrley is a nationally recognized business coach and consultant for 30 years. Her company, BIZremedies, is based in Milwaukee, Wisconsin. She has helped thousands of corporations, executives, entrepreneurs and individuals learn how to increase their Gut Intelligence by teaching them the same skills in her book ALIGN. This is Wehrley’s 8th book and second in her Gut Intelligence series.